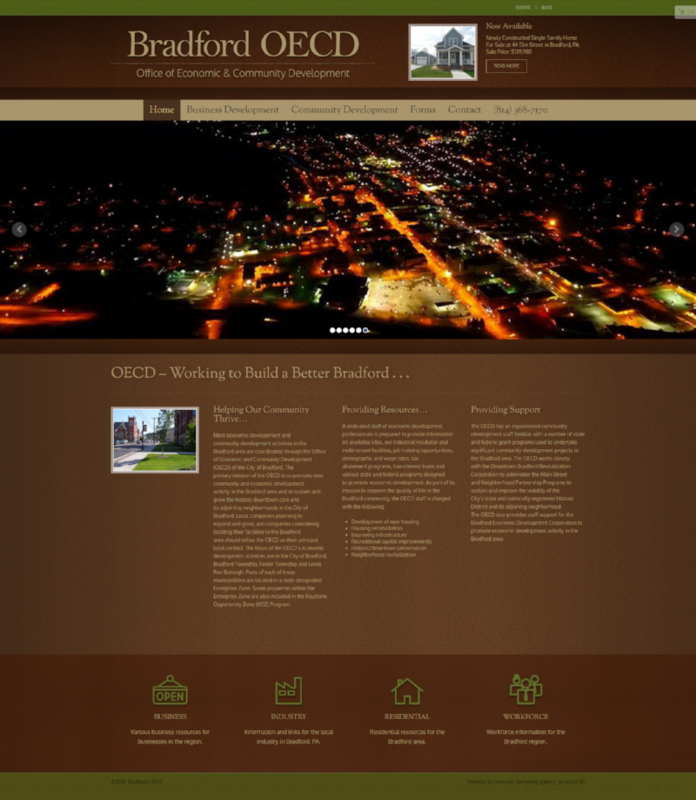 The Bradford, PA Office of Community and Economic Development was in need of a new website for a variety of reasons. First, they wanted to be sure that their content was accurate and up-to-date for their users. To accomplish this, they needed a user friendly content management system and training on how to use it. Second, they wanted a more modern design and something that would work well on mobile devices. We're happy with how the site turned out and look forward to reading the content that they add in the future!